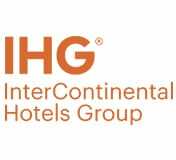 InterContinental Hotels Group PLC is one of the largest hotel chains in the world as measured by the total number of rooms. The UK-based company owns, manages, and franchises over 5,500 hotels across 100 countries under major brands including Holiday Inn, Kimpton Hotel and Restaurant Group, Crowne Plaza, and InterContinental. Most of the company’s hotels operate under a franchise agreement or are managed by InterContinental on behalf of the owner. The company’s network of hotels earned $25.7 billion in 2017. Over the next five years, InterContinental’s industry-specific revenue will increase at an annualized rate of 56.4% to $1.3 billion. InterContinental does not assist its franchisees in the hiring of employees, but it does provide training for specific hotel employees either at the franchisee’s hotel, at its headquarters in Atlanta, Georgia, or at other major metropolitan locations. Franchisees must cover any travel and living expenses of their trainees and the franchisor may charge additional fees for certain training workshops. Every General Manager must complete the GM initial certification training program within 180 days of assuming the position and must be acceptable to the franchisor. Other employees, such as Guest Service Managers and Sales Managers must also satisfactorily complete the appropriate training. Joorney Business Plans develops detailed personnel plans and links the proposed employees’ training to their designated roles. Generally, InterContinental does not grant franchisees an exclusive territory. Franchisees may face competition from other franchisees, from hotels that the franchisor or its affiliates own, or from other channels of distribution or competitive brands that the franchisor controls. Therefore, Joorney Business Plan Writers develop in-depth competition and market analyses helping franchisees estimate their growth potential in a specific territory. The initial investment for establishing an InterContinental franchise business ranges from $70,436,315 to $102,938,610. The initial investment includes a wide range of expenses such as building construction; furniture, fixtures, and equipment; and licenses and permits. Joorney Business Plans has experience in developing long-term financial projections for InterContinental hotels and understands the specifics pertaining to the initial investment requirements. InterContinental manages a System Fund for the benefit of all its hotels with the objective of driving revenue. Total contributions paid by hotels into the system fund are spent on marketing, the IHG rewards club loyalty program, and the guest reservation system. The System Fund is planned to operate at break even and does not result in a profit or loss for IHG. Joorney Business Plan Writers have experience developing marketing strategies for InterContinental hotels in line with the franchise agreement. InterContinental franchisees get to brand their hotel with one of the most popular hotel brands in the world and benefit from a powerful loyalty program and strong reservation system. InterContinental supports owners with world-class, brand-specific resources that help drive hotel employee performance, improve guest satisfaction, and boost revenue.